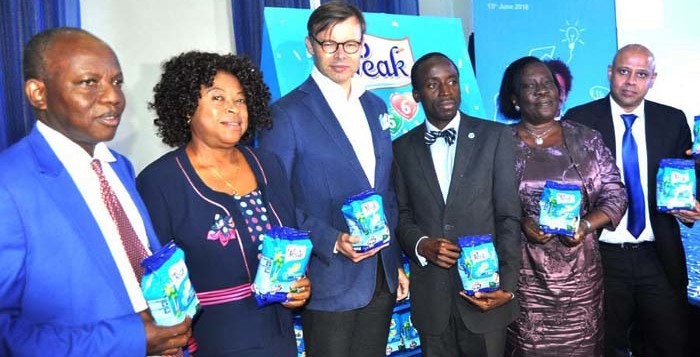 FrieslandCampina WAMCO, makers of Peak milk have introduced yet another brand to the market, called “Peak 456” and targeted at children between the ages of 4 to 6 years. The company calls it the ‘growing up milk’. Speaking to the media on Wednesday in Victoria Island, Lagos, the Marketing Director of FrieslandCampina WAMCO, Tarang Gupta, said that “Peak 456” is one of the initiatives of the company in line with its mission to nourish Nigerians with quality dairy nutrition. He stated that “the children are the future of our country and we need to fuel their growth with optimum nutrition. Peak 456 growing up milk is specially formulated for children age 4-6 years of age, with key nutrients crucial for brain development while ensuring their nutritional needs for growth are adequately met. While unveiling the product, President of Nutrition Society of Nigeria, Professor Ngozi Nnam said the years from age 4 to 6 is termed as early childhood and this is a period of rapid skeletal and muscular development as well as continuing brain growth. She added that studies have shown that 90% of brain growth occurs during the first five years of life and it is a crucial period when adequate nutrition is highly needed. Professor Nnam noted that research has shown that under nutrition early in life can lead to physical and brain impairment in a child resulting in reduced capacity to learn, poor performance in school and a lifetime of lost earnings. Another health expert, Dr. Adegboyega Ogunwale of the Neuropsychiatric Hospital, Aro, Ogun State, said mothers should pay more attention to the nutritional contents of foods given to their children. He said some mothers give little or no milk to the growing children, which in the long run, would affect their growth. 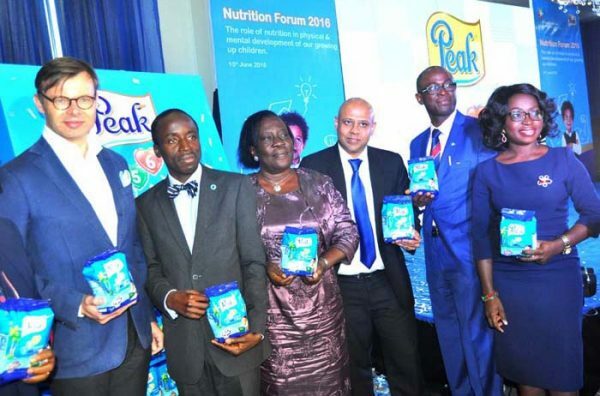 While speaking at the unveiling of Peak 456, he said, “Milk is a one-stop shop for nutrition. It contains nearly all the basic nutrients that a growing child needs: fats, carbohydrates, proteins, vitamins and minerals. While it is true that most of the nutrients in milk can be found easily from other sources, such as vegetables, legumes, and seafood, milk puts them all together in a convenient package. Dr. John Okeniyi, a health expert said milk is considered nutrient-rich because it serves as a good source of calcium and vitamin D.